This trip will take you to the heart of Crete. In the middle of the mountains we will discover a magnificent plateau situated at a height of 820-850 meters. 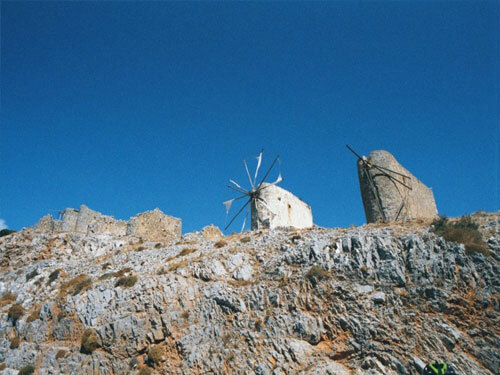 It is surrounded by precipitous mountain peaks, all more than 1,000 meters high, forming a strong natural fortification that has only eight relatively accessible passes Lassithi Plateau is well known for the thousands of white sailed windmills, 10 000 in all, designed by Venetian engineers in 1464 and used for irrigation. 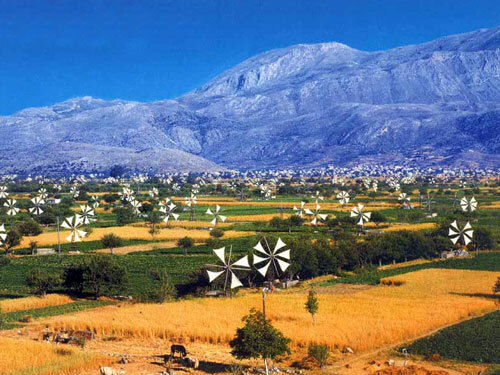 Although very few windmills are in use today, it still makes a splendid sight against the mountains and sky. The mountains hide many caves, but we will visit the most important. The cave Dictaion Andron was one of the most important cult places of Minoan Crete and the birthplace of Zeus according to Greek Mythology. The cave was only rediscovered in 1880, it contained relics from middle Minoan up to archaic times. 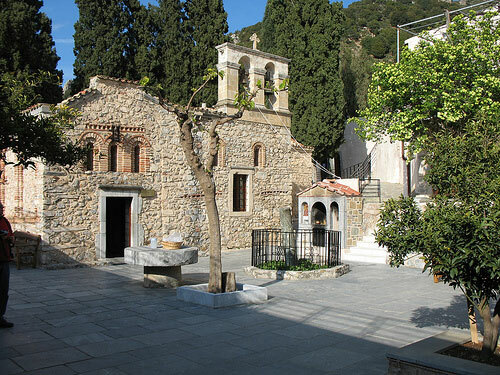 Before the village Kritsa, we will find the monastery of Panagia Kera Kardiotissa (Holly Mother). The monastery is located in a pleasant setting, high in the mountains of Dikte, with a view of the Pediada Valley and the sea. It is a very old monastery which was in existence during the second Byzantine period (961-1204). Inside the church are fourteenth century frescoes and old icons and a copy of the thaumaturgy icon of Virgin Mary, also reputed to have been stolen in the fifteenth century. Today the original is the church of Saint Alfonso on Esquiline Hill in Rome and is named the Virgin of Perpetual Succor.